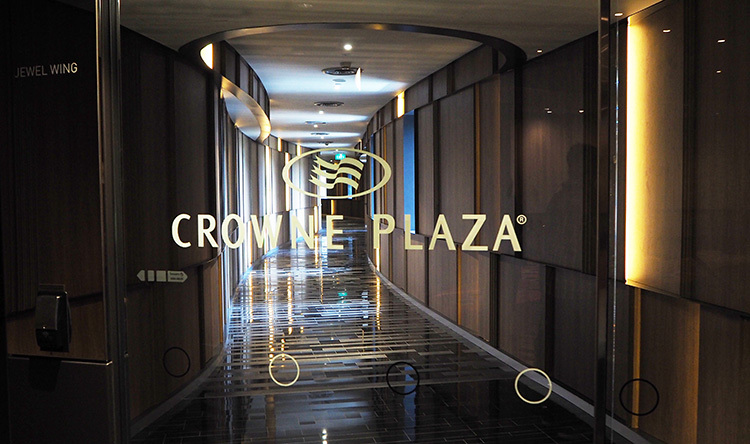 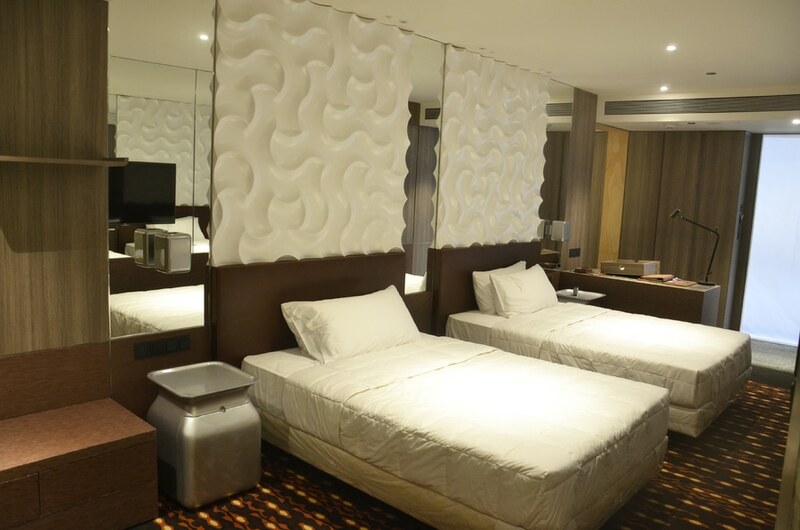 Located in Singapore Changi Airport Terminal 3, the Crowne Plaza Changi Airport hotel completed a free standing 10-storey extension of their facility, last year. 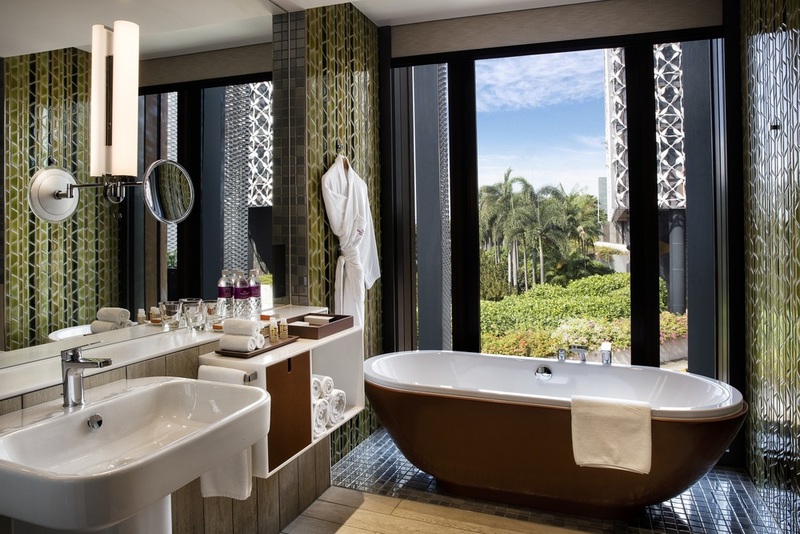 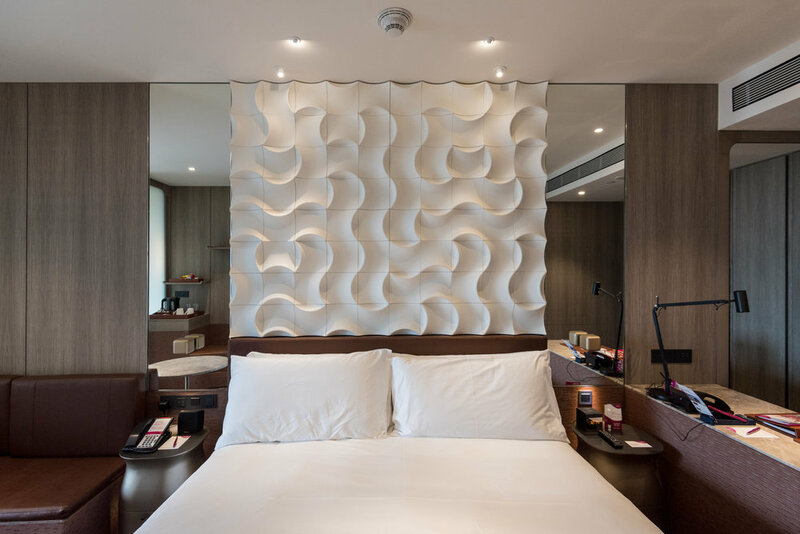 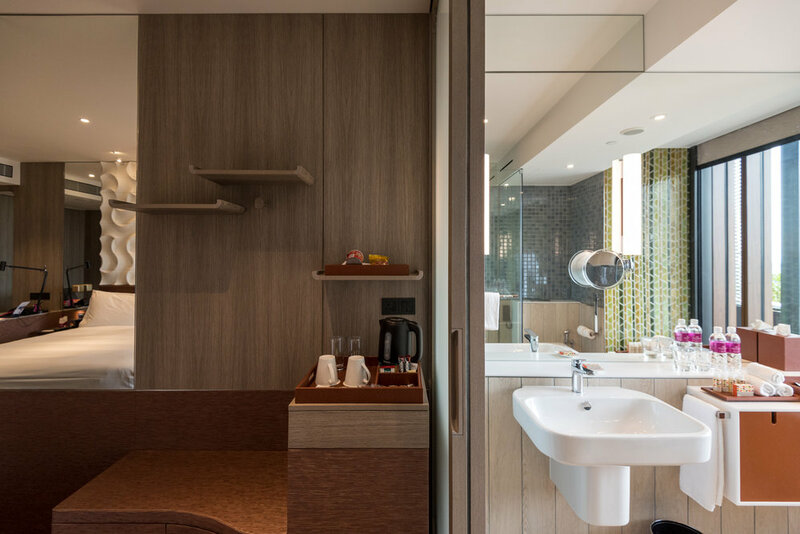 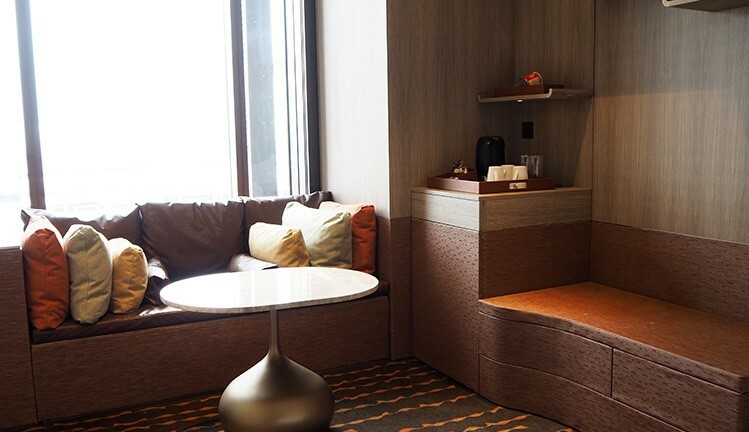 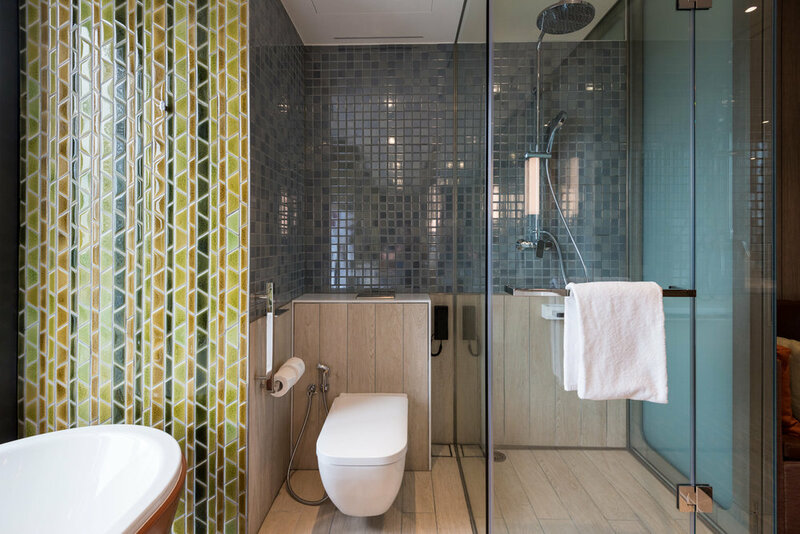 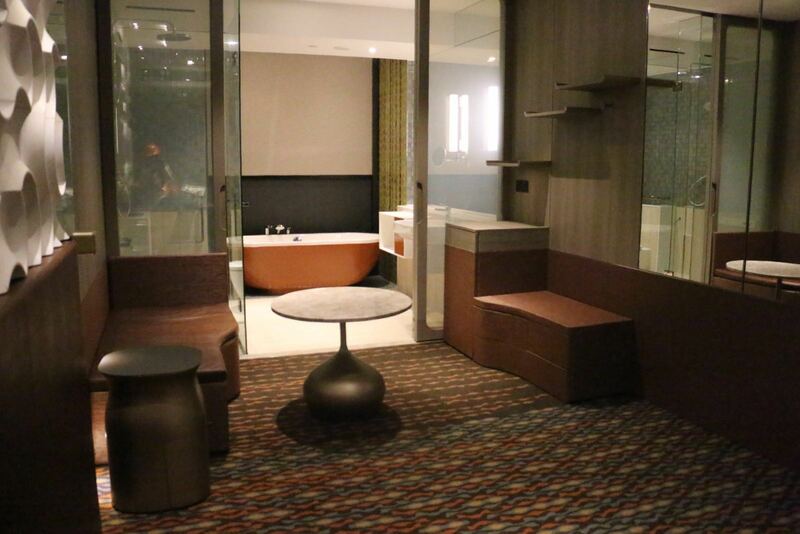 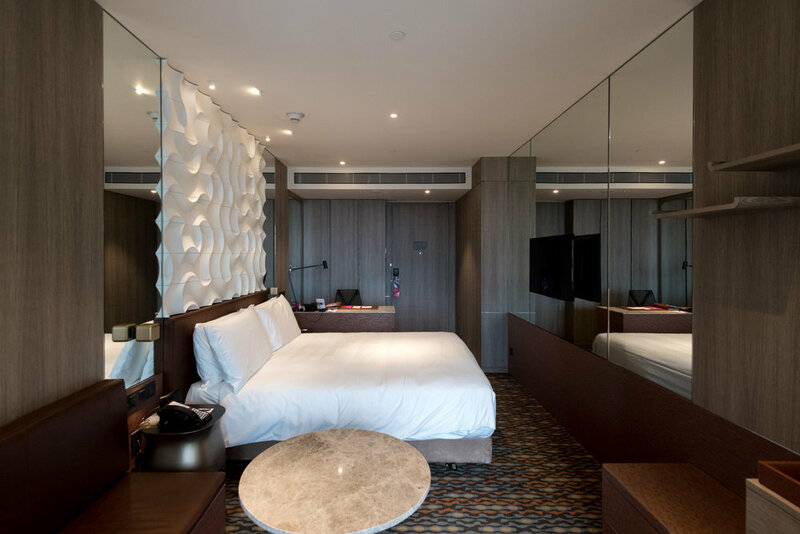 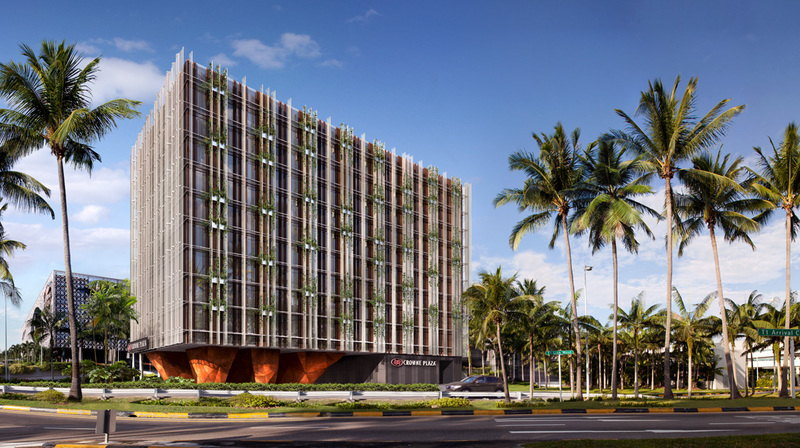 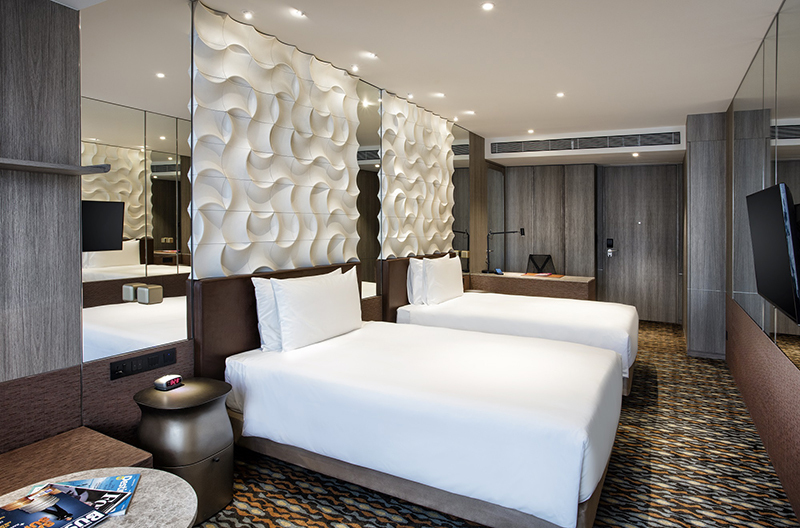 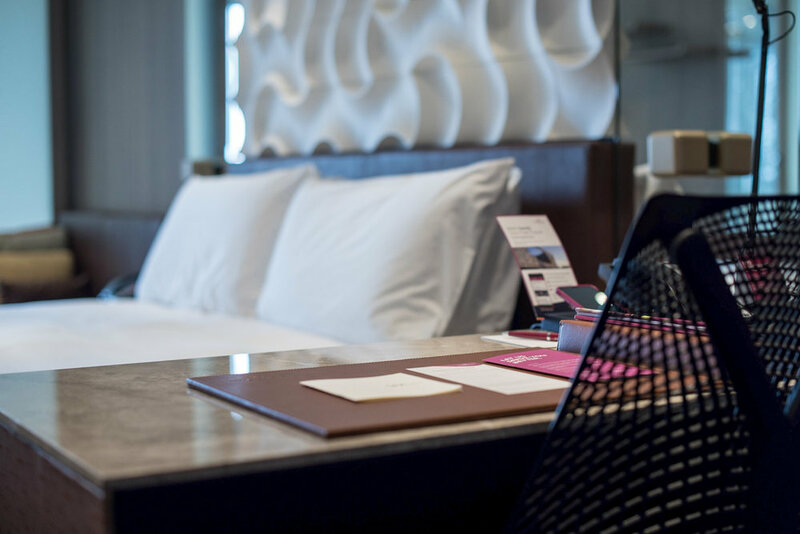 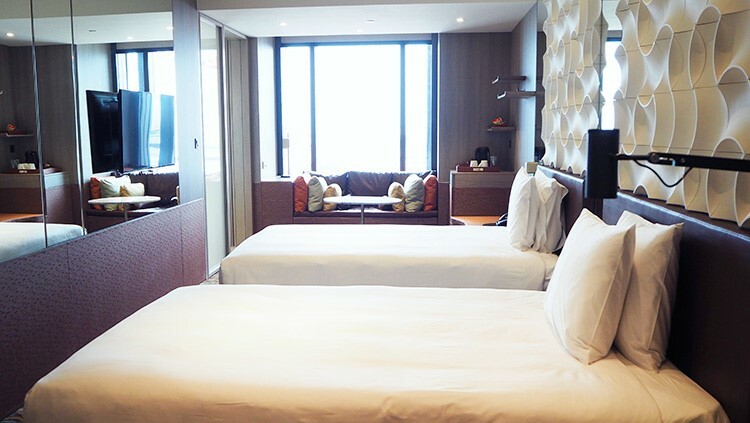 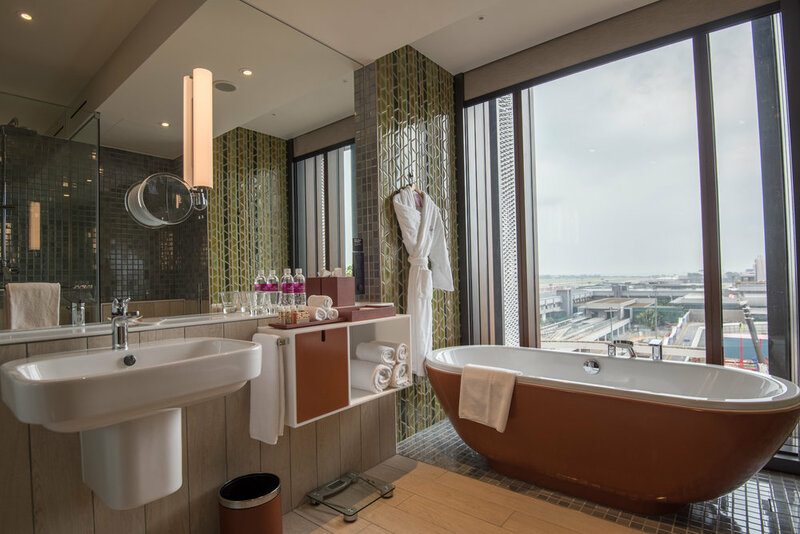 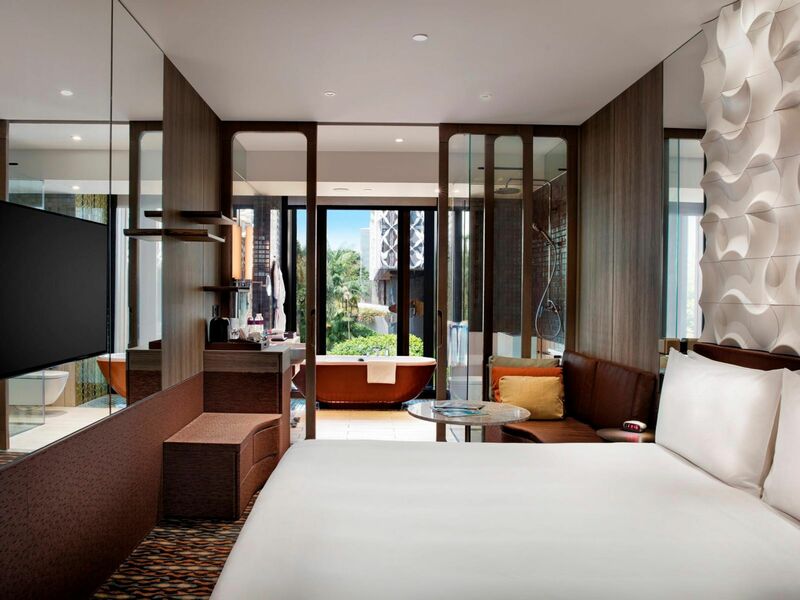 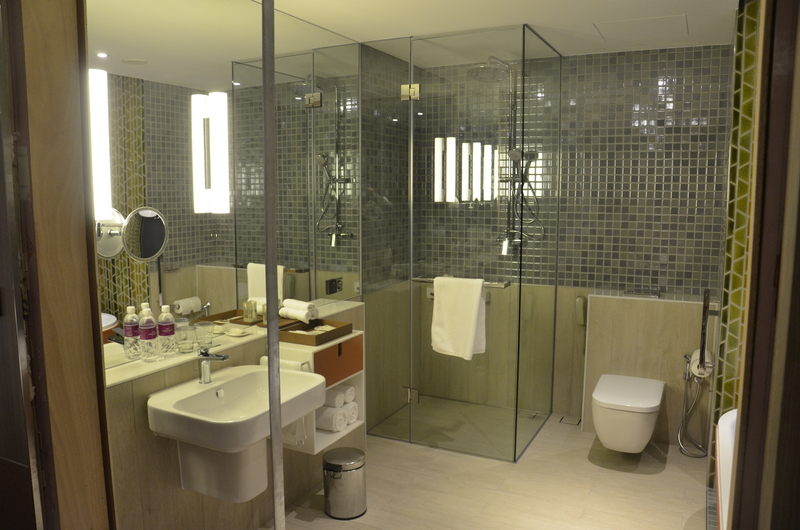 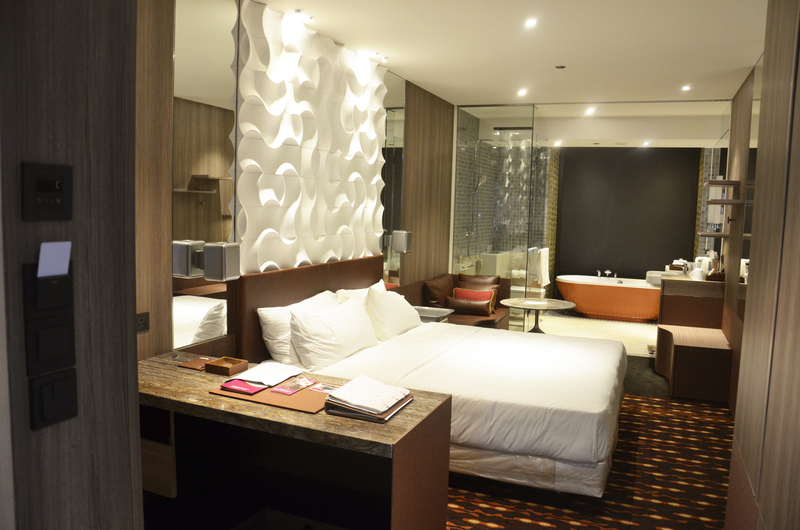 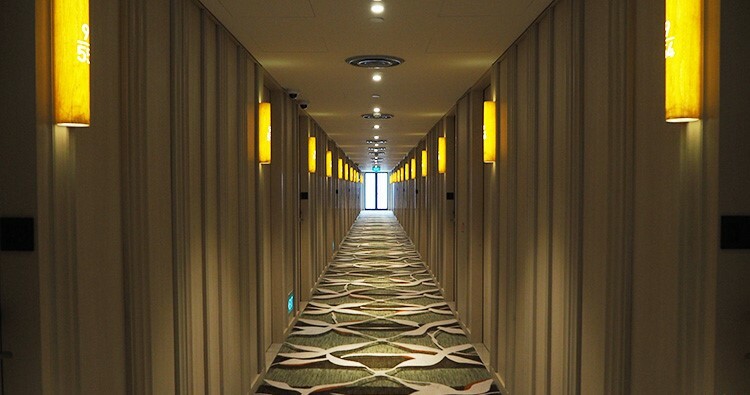 The extension, commisioned by OUE Airport Hotel Pte Ltd, was designed by Singapore-based WOHA (the architects behind the existing hotel) and features 243 additional guestrooms on 10,000 sqm GFA (gross floor area). 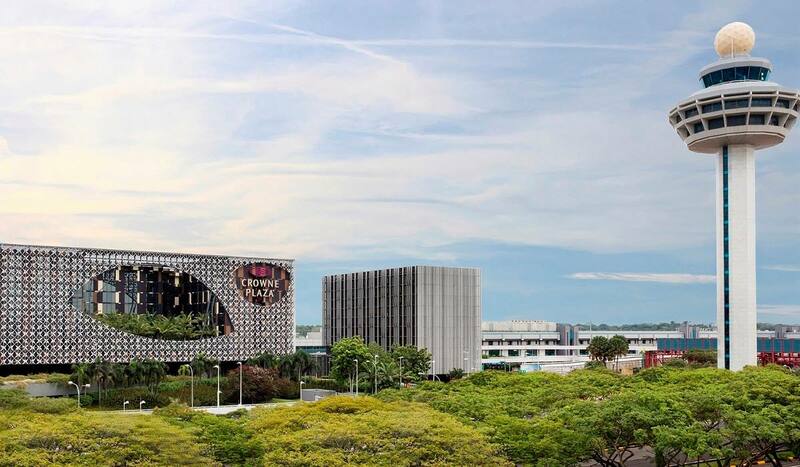 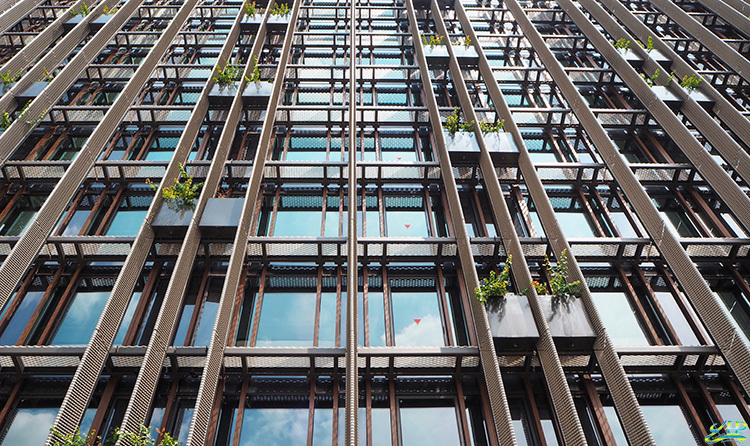 What is most notable about the project, however, is the use of Prefabricated Pre-finished Volumetric Construction (ppvc) technology, the first of its kind for a private sector commercial project in Singapore. 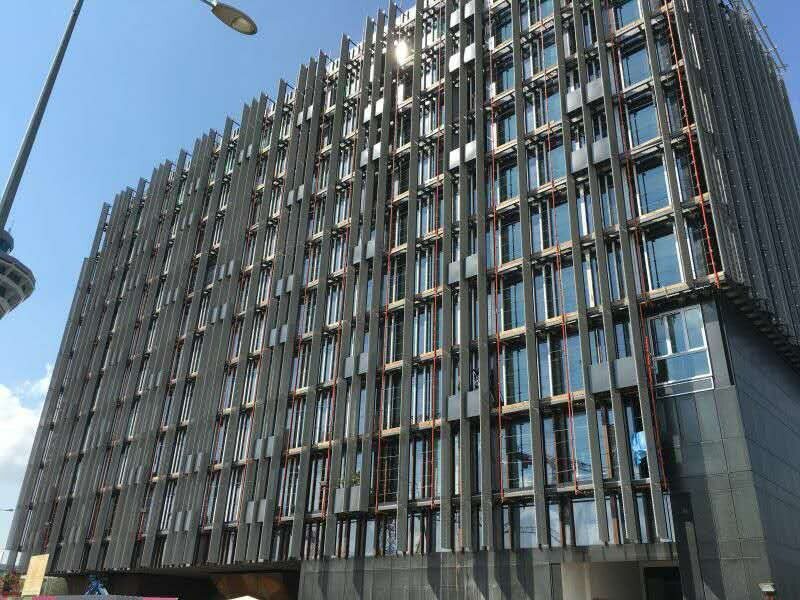 The construction, executed by Dragages Singapore in collaboration with Unitised Building employed this alternative approach with the entire project designed, manufactured and installed in 17 months. 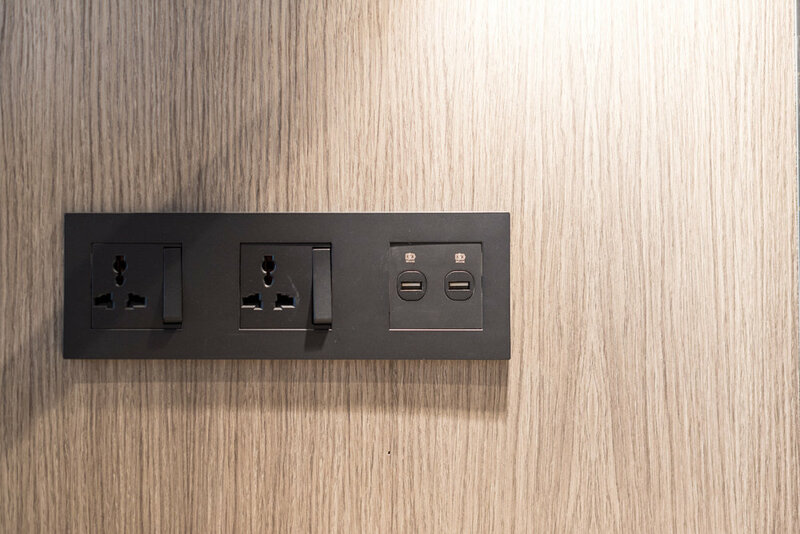 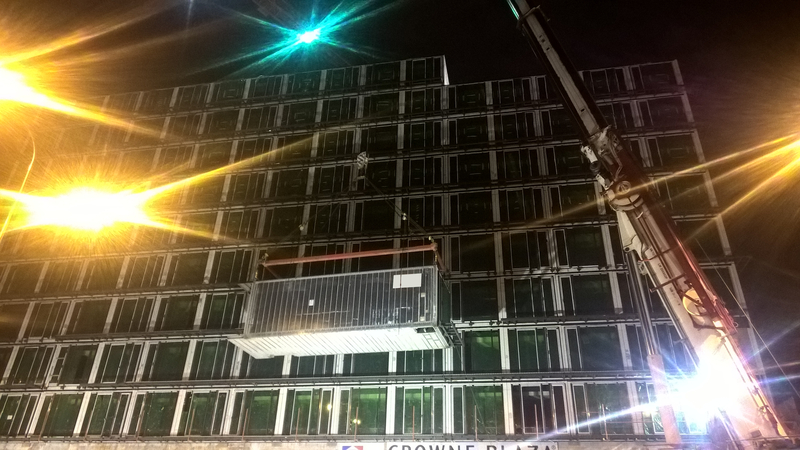 Over 250 shipping containers were used to build fully pre-fabricated room modules (complete with finishes, fixtures and fittings), in a quality controlled Chinese factory, before being shipped over to Singapore to be installed on site. 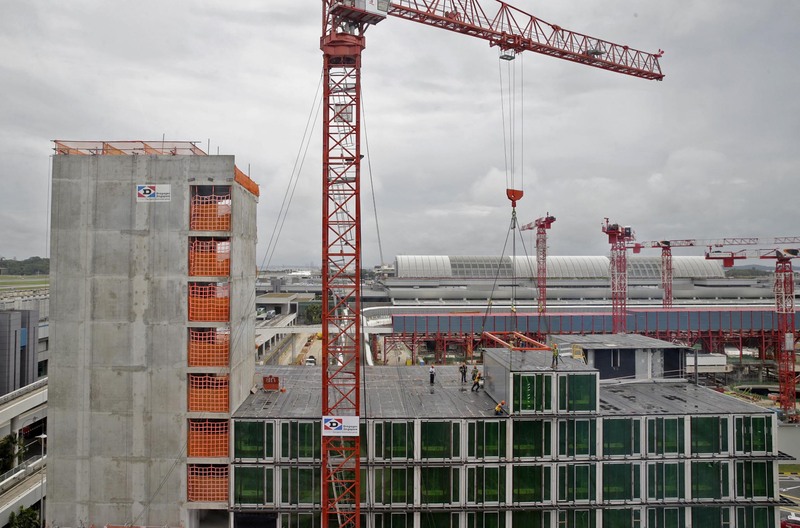 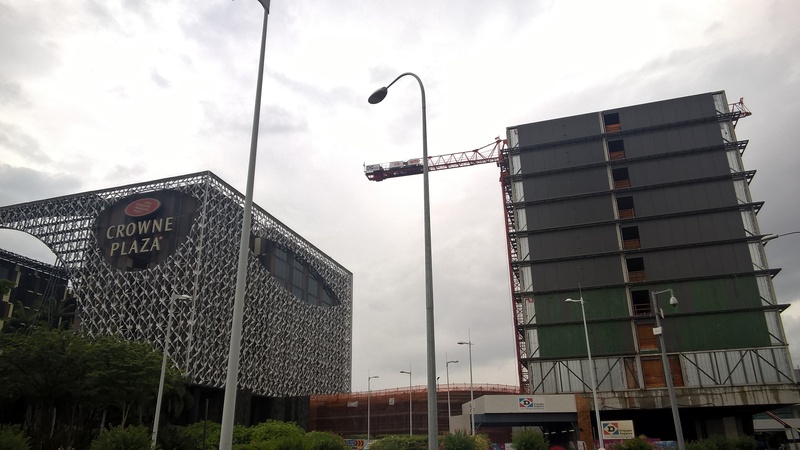 The installation involved lifting the modules into position via crane, and took about 26 days to complete, under the tightly controlled airport environment, with severe height and traffic restrictions. 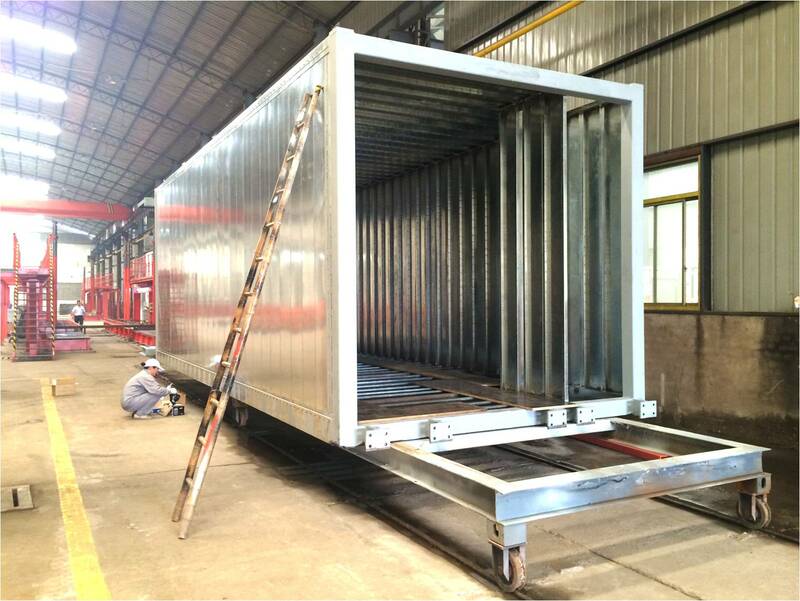 With this new technology, high-rise residential, hotel or healthcare construction projects are broken up into transportable units that are manufactured in a quality controlled factory environment, and then craned into position on site. 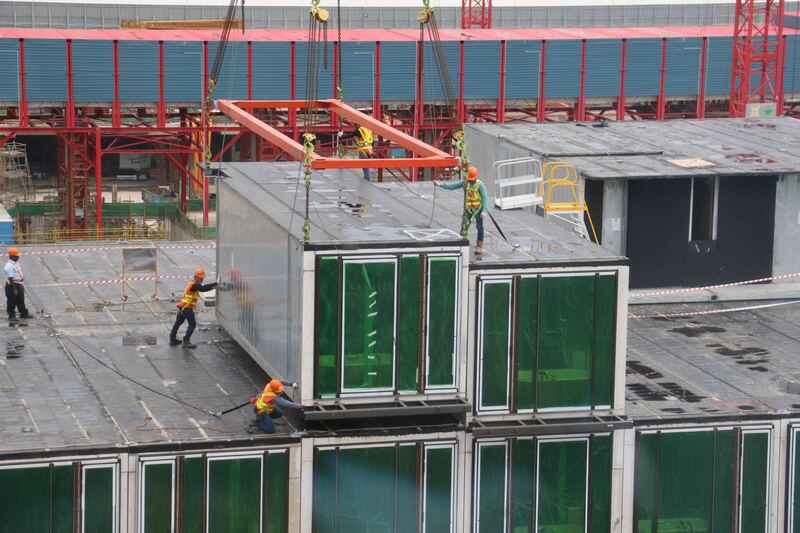 The PPVC system enables buildings to be delivered in up to half the time of traditional methods of construction. 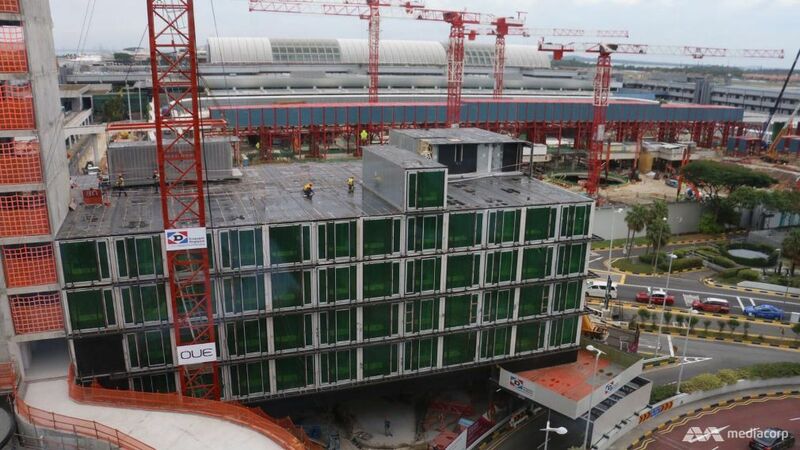 It also provides up to 75% savings in manpower, a more sustainable construction process through a reduced carbon footprint, as well as lower running costs. 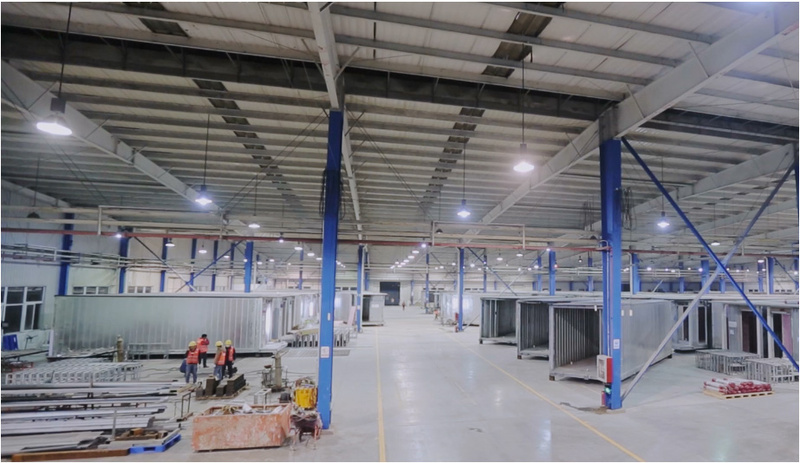 With the bulk of the installation activities and manpower moved off- site to a factory controlled environment, site safety is also highly improved. 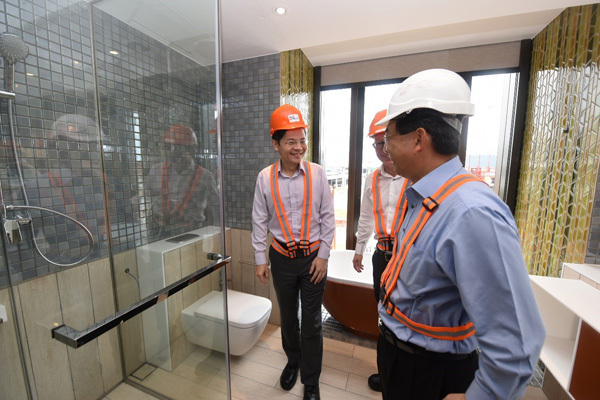 -Singapore BCA CEO John Keung.